The Group of 7 (G7) industrialised nations have resolved to support President Muhammadu Buhari. The group said it acknowledged the manner of Buhari's emergence as president, as well as the monumental challenges confronting his government, especially in its efforts at combating the Islamist terrorists group, Boko Haram. In a statement issued by his Senior Special Assistant (Media and Publicity), Garba Shehu, his aide said: “At the end of the presentation Buhari made on Monday at the G7 summit, the G7 leaders informed him that they recognised the president’s massive amount of confidence and expectations behind his government. “They (G7) acknowledged him as having emerged from an election adjudged to be the freest in the country’s electoral history, but regretted the severe handicaps his new government has to face from the outset. “They told President Buhari that they took cognisance of the fact of the several handicaps, including the lack of resources, leaving him with a government over-stretched in capacity, itself riddled with mismanagement. “They noted that the country's army lacked training and equipment with little or no will to engage. 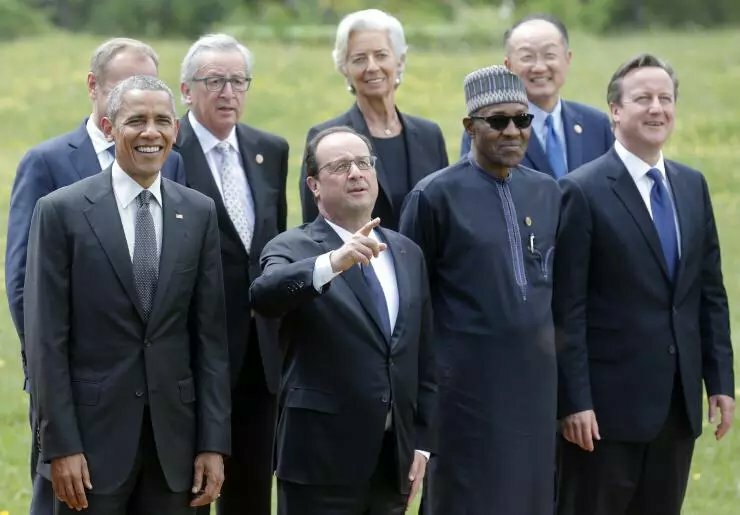 “In recognition of the fact that the security threat of the Boko Haram had gone beyond Nigeria, equally affecting other countries in the region, the G7 conceded that no one country can tackle it alone. “They expressed warm sentiments towards the Nigerian leader and praised him for reaching out to the country’s neighbours and the group of industrialised nations within a week of his takeover of government. “In view of the seriousness he has shown in tackling this problem, the group pledged that they would ‘engage, cooperate and collaborate’ with President Buhari’s government in tackling the serious problems that Nigeria faces. “They left it to President Buhari to come up with the specifics on his requirements, assuring that they would study the requirements either individually or collectively and offer help. They asked to know the nature and the scale of the problems in order to know the nature and the scale of the assistance they will provide. 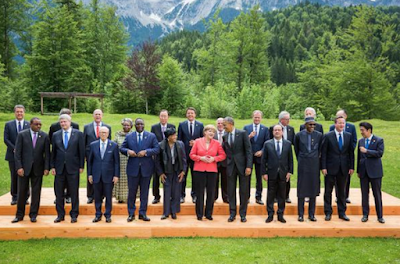 Buhari, who had the privilege of being the first to address the G7 among the invited presidents and prime ministers, according to the statement, was warmly received at the summit.